PLEASE READ ALL OF THE BELOW INFORMATION. ALL SALES ARE FINAL ON CLEARANCE ITEMS. Appearance: There may be a thin vertical run in the fabric going down the height, approximately 6 inches inside the edge. The run line is thin and fairly discrete. Inherently Flame Retardant (IFR) fabric passes NFPA 701. 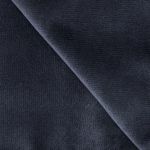 Features a low napped Velour finish on the front side, and a lining on the back. A 4 inch rod pocket is sewn into the top and bottom for easy hanging on a drape support rod / crossbar. These drapes are not pre-pleated; they are sewn flat and can be gathered by hand on a support rod (crossbar). A minimum of three drapes are recommended per 10 foot wide span. Approximately 99% opaque (light blocking). You cannot see through this drape, but there may be a very occasional (and tiny) pin hole when backlit. The heavier weight of this 21 oz. 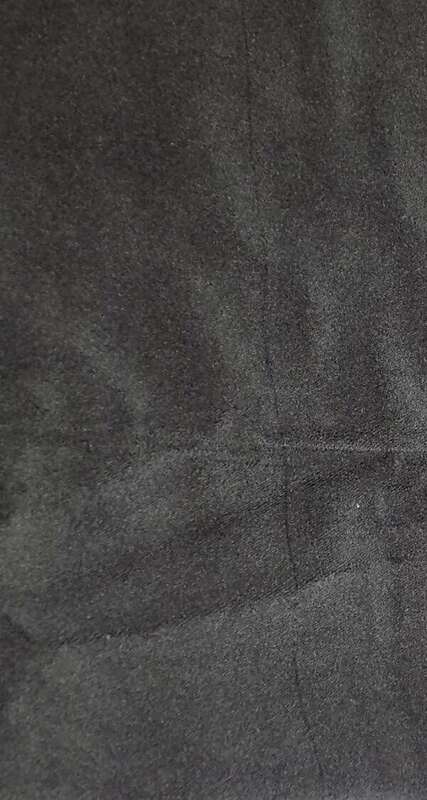 Velour will help with sound absorption and assist in dampening sound, but please note that it is not soundproof. *Second Runs: An item that is new and unused, but has cosmetic flaws or otherwise differs compared to an item that we offer as first quality. Stock is limited to availability at the time of an order. Automatic discounts do not apply to Clearance items, and all sales are final on Clearance items.